Microsoft has been ignoring the advancements in the field of Search Engines and also Targeted Advertising. However with the recent launch of Bing, they decided to start competing with Yahoo! and Google for their slice in the Search Engine business. Two days ago, on July 29th, 2009, Microsoft and Yahoo! announced a deal in which Bing would power the Yahoo! 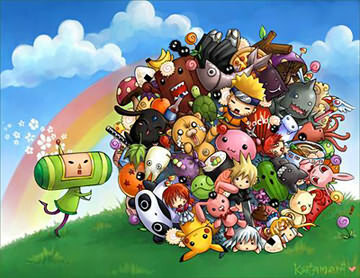 Search Engine. That said, it is a very smart move for every site and blog to optimize their structures and fit Bing needs. As we already know, Bing has a different algorithm than Google. Given Microsoft’s aggressive nature in fighting competition, it would be a grave mistake to underestimate them. The recently re-launched Bing Search Engine platform with upcoming versions of Windows OS is about to make Microsoft’s new search engine one of the biggest and most important players in the world of searching. Thus, it is very important to get good rankings in this new engine if you want the share of traffic they can give to your Blog. So, what exactly they lay emphasis on? As with many of the other big Search Engines, Bing places heavy emphasis on unique site content. They allow higher keyword density than Google Search does. 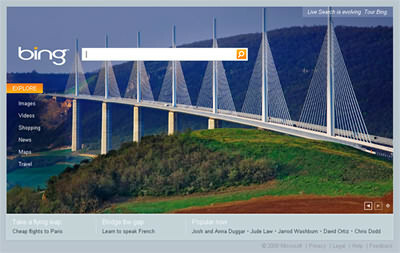 For Bing, it is recommended to keep your pages at least 200 words long and include phrases which people commonly use. Another important point of Bing is having your Blog CSS and HTML validated. I made sure that my Wordpress Theme Patagonia is 100% Valid CSS level 2.1 and XHTML 1.0 Transitional. In this article I will give you some very good tips to optimize your site for Google Image Search. Of course I am always referring to Google in my articles, because I take it as the default search engine. but these tips are going to work for all the other image searches like Bing and Yahoo Image Search. The advantage of image searches is that you will get spidered pretty fast, since there are no such things as a Sandbox. Image Search is a good way to get initial traffic while you build and establish your Blog as a solid site. So, what is the proper way to optimize an image? The first element you need to add is an “alt” attribute that describes the content of your image. You also need a “title” attribute that contains text to be displayed when the user places the mouse pointer over the image. You can add this in your wordpress dashboard. When you upload and insert an image in one of your posts, you will find a box named “title”. Whatever you write there, will be displayed in your “alt” and your “title” attributes. If you want to edit these values, just switch the view to HTML and look for the image code. 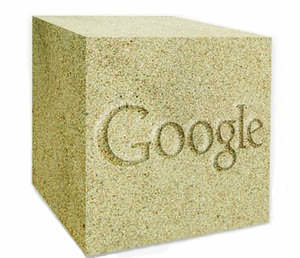 A lot of talk still exists nowadays about whether Google has a sandbox or not. With “sandbox” we understand a place where new blogs and general sites go to “age” before being included definitely in the relevant search engine results. Google denies it exists, although Matt Cutts said in an interview that: “There are some things in the algorithm that may be perceived as a sandbox that doesn’t apply to all industries”. Of course, I’m not going to say that the sandbox effect does exist. Instead, I will say that about a year after one of our other sites went live, there was a large increase in incoming search engine traffic from Google. I personally think the idea of “aging” a Blog certainly makes sense. 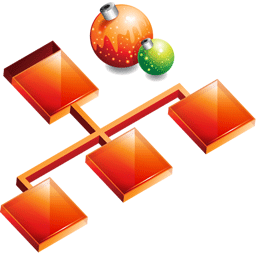 It gives the webmaster a chance to establish his project as a solid internet website or Blog. It also gives the chance to build a rich database of articles and grow its content, to sort the bugs out and to tweak its design.